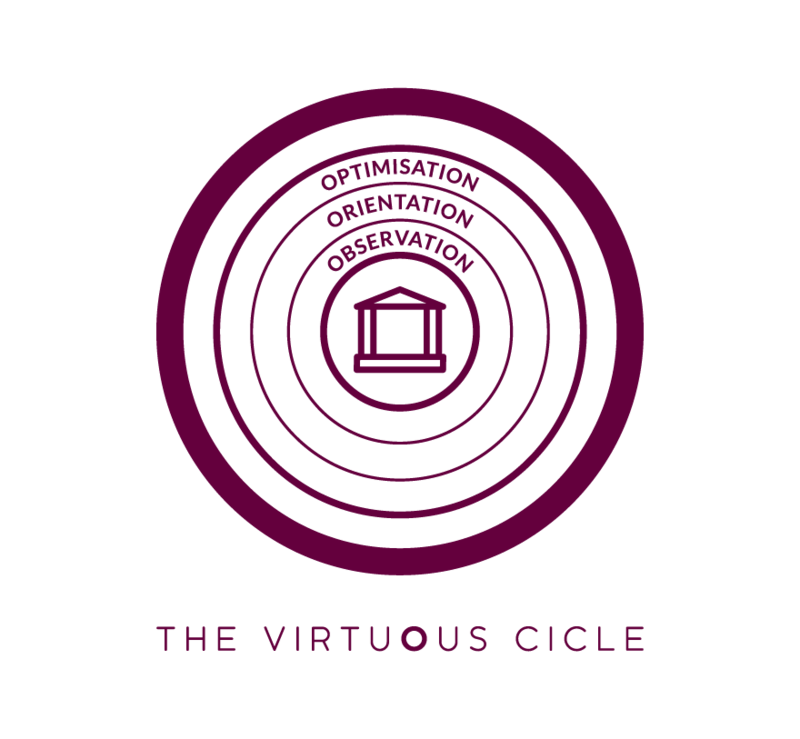 The principles of the ORBIZ Way are summarised through a simple model that we refer to as the Virtuous CIcle. The letters CI represent Continuous Improvement which is the very reason we exist. 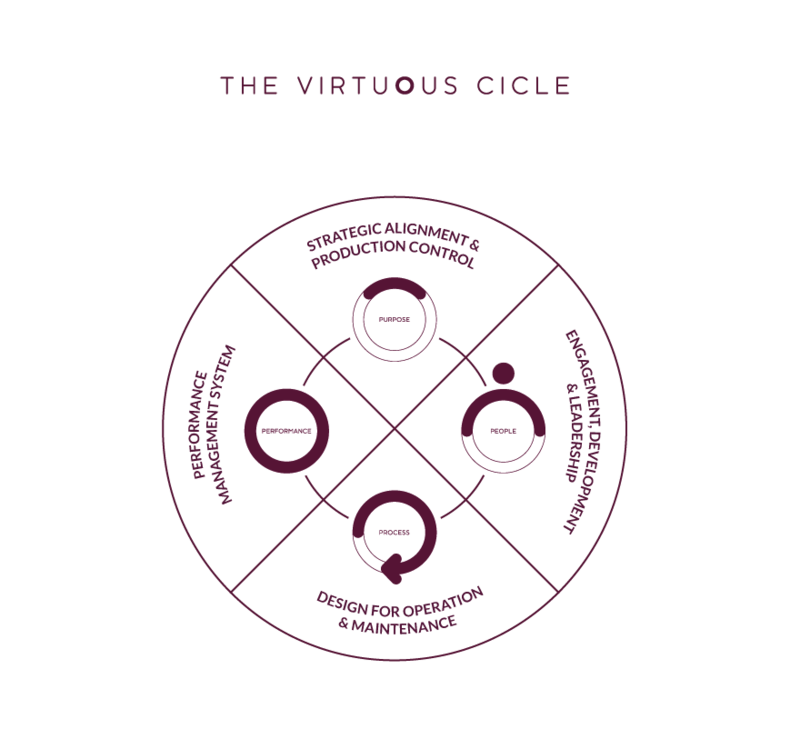 When aligned into practice the four quadrants of the Virtuous CIcle become the four key components that all organisations can improve to operate more successfully. ORBIZ provide effective solutions that support organisations to rapidly and sustainably increase performance across all four of these areas. The most common failure mode in strategy execution is an ineffective deployment model resulting in the strategy not being effectively communicated or managed. True to our roots, ORBIZ advocate the utilisation of Hoshin Kanri (Policy Deployment). The model below illustrates how a robust Policy Deployment framework can enable the strategic goals of an organisation to drive progress and action at every level, eliminating the waste that comes from inconsistent direction and poor communication. An effective Policy Deployment model will deploy and manage the strategy through key performance indicators at each level of the organisation, whilst creating a platform for the execution of enabling projects through a structured project management. Policy deployment utilising the Hoshin Kanri system, disseminates the organisational objectives and deploys them through a series of business plans which are developed and executed at each level by the local leadership teams. The strategy should also deploy clearly defined operating targets that are aligned across each area of the organisation. A robust system will enable these targets to be managed on an hour by hour basis through Key Performance Indicators (KPIs). Comprehensive development programs – Lean organisations will deploy a comprehensive employee development program that educates employees in the organisations principles, systems and processes to ensure they are continually developing. Succession planning – Lean organisations have robust succession planning programs that ensure talent is identified and supported to flourish whilst hard work and ambition is rewarded through promotion and more responsibility. Zero Harm culture – Safety management systems in Lean organisations maintain the highest standards of safety by maintaining a high-level awareness and creating a near-miss culture where incident reporting is seen as a positive by all. Problem solving culture – Lean organisations become learning organisations through their structured approach to problem identification and resolution leading to perpetual improvement in performance. Continuous Improvement culture – Lean organisations systematically drive Continuous Improvement by setting clear objectives and targets at all levels and in all areas which are then effectively monitored and managed. Accountability – Lean organisations manage performance through robust performance management systems and hold people, departments, sites or suppliers accountable for poor performance whilst supporting them to improve. Leading by example – Lean organisations set extremely high standards for leaders, hence they recruit and promote based on character, discipline and behaviour first to ensure that the direction of the organisation is in good hands. Go-Look-See – Lean organisations practice the principle of Go-Look-See where leaders go to the work fronts to engage with the workforce to communicate, investigate issues and provide support on a consistent basis. Practising core values – Lean organisations truly operate to their core values; every employee is expected to model the way and challenge anyone else within the organisation who does not. Fatigue management policy – Lean organisations deploy comprehensive and progressive fatigue management policies that protect their employees whilst enabling consistent and sustainable organisational performance. The majority of ORBIZ consultants developed their Lean knowledge in a Lean Manufacturing environment where plant, equipment and process design are fully integrated with the strategic intent of delivering a product at the lowest cost, to the highest quality, in the safest manner possible. Whilst building in the ability to safely and efficiently conduct maintenance activities, and the flexibility to adjust production rates should the economy and associated customer demand change. Lean organisations are also extremely adept at introducing new facilities, new equipment or new products in relatively short timeframes and at low cost by utilising the same Lean principles they use in production, through the design, construction, installation and commissioning phases of capital projects. Advise on Lean thinking in plant and equipment design to create greater flexibility and reduced risk to output through breakdowns whilst improving operating performance through modular maintenance shutdowns. Facilitate workforce engagement during capital projects to build in ideas for Lean plant, equipment and process design. Lean subject matter expertise during capital project execution to support on-time, on-budget delivery to full capability underpinned by formally documented systems and processes with a fully trained and competent workforce. Continuous Flow studies to develop solutions that reduce product lead time and the cost of inventory management. Value stream synchronisation studies to identify production level inconsistencies and develop processes designed to consistently meet customer demand at the lowest cost whilst absorbing the fluctuations in parallel processes. Plant and mobile equipment OEE studies to identify opportunities to increase availability and reliability whilst reducing the cost of maintenance. A key component that Lean organisations have in common, are robust performance management systems that enable them to set clearly defined targets and objectives across the organisation and then monitor and manage performance accordingly. Visual Management Centres (VMC) – Generally deployed through a series of tiers at each level of the organisation to set, monitor and manage the performance of a set of KPIs for Safety, Quality, Delivery, Cost, Environment and People, whilst at the operational level also providing a forum for production or maintenance planning and control. VMC can also be utilised for the management of projects that have been strategically deployed or initiated locally to deliver or improve something outside of the normal operating parameters – this is often referred to as a Project Management Office (PMO). Standardised Work (SW) – Deployed at the operational level to drive consistency of process in terms of safety, quality, cost and time, or at the leadership level to drive consistency of general routine, meeting attendance and preparation, workforce engagement and general discipline and behaviour. At the leadership level this is often referred to a Working Menu. Both applications drive consistent high performance if deployed effectively and enable process governance. Workplace Organisation – Often referred to as 5S, can be deployed across all areas of the organisation from Board Room to pit floor and workshop. Provides standards that ensure the workplace is setup in the most effective manner so the work that is conducted in each area can be completed in the safest and most efficient manner at all times. Asset Management – In most industries all fixed and mobile assets will generally require an asset management strategy and execution plan. In turn, each piece of equipment required to execute those asset management plans will also need an asset management plan to ensure they are effectively maintained. 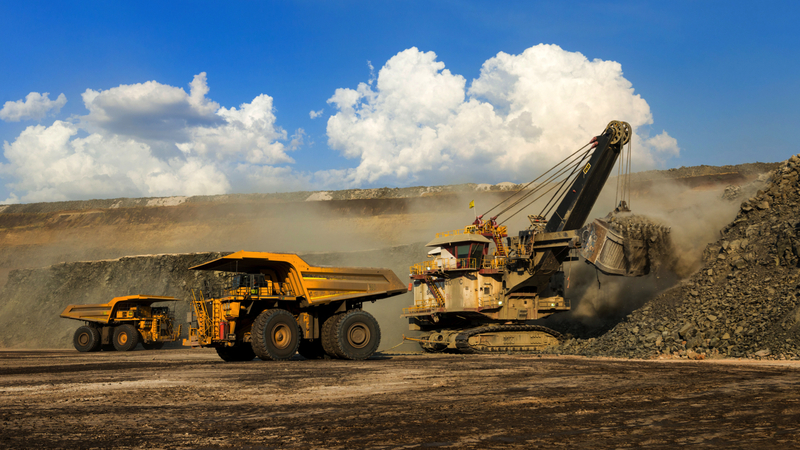 An effective asset management system will include a comprehensive program to ensure the upkeep of each and every piece of plant and equipment. An effective performance management system will monitor the execution and performance of this program through SW and VMC. A clear and compelling PURPOSE to be defined that is supported by the organisation’s leadership team and key stakeholders. The PEOPLE who are affected by the changes and need to buy-in are engaged, appropriately educated and then supported to make and sustain the changes. PROCESS is implemented to enabling quick wins to be made, communicated and celebrated, the overall program is effectively managed to ensure momentum and long-term success, each change is formalised to ensure that it becomes business as usual and regression is avoided. 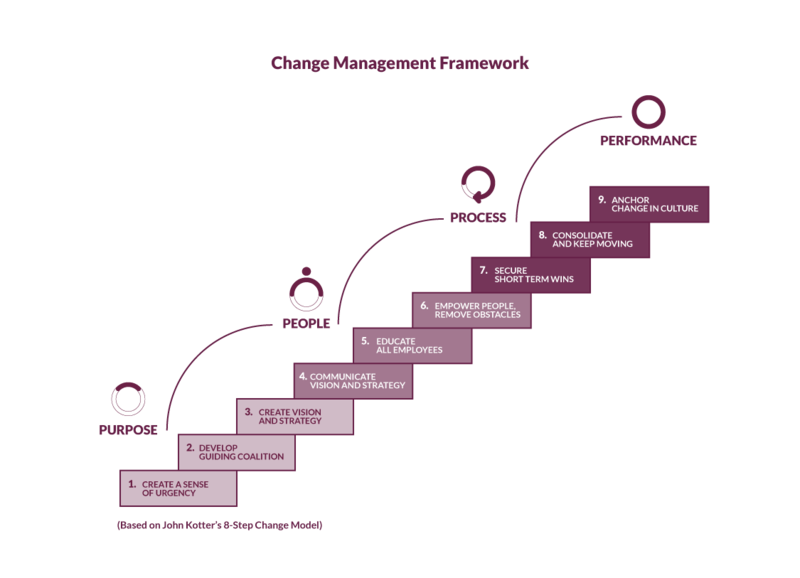 The ORBIZ Change Management Framework which is based on the 8-Step Change Model developed by John Kotter ensures that high PERFORMANCE outcomes can be consistently achieved and sustained. Each ORBIZ engagement, be it large or small, strategic or tactical, utilises our simple three-phased approach as the guiding principle. ORBIZ undertake a thorough assessment of by observing, reviewing and analysing all systems, processes, data and behaviours within our scope. We will objectively assess what is good and where opportunity resides, identifying gaps and providing recommendations based on budget and time horizons. Next, we take a step back and orient our findings against the organisations overall context. Typically overlaying our client’s strategic plans, financial projections and customer priorities to determine bridging requirements. We also consider our client’s core values and corporate philosophy in respect of Lean thinking and continuous improvement, relating these to project outcomes. Following Orientation, we will facilitate the development of a detailed project roadmap. The nuts and bolts of the Delivery Model are discussed at multiple organisational levels so the communication is clear, consistent and cohesive. The meticulous mechanics of implementing Lean tools and methodologies varies depending on each client’s needs. Lean philosophy is deeply engrained in our values at ORBIZ and at the core of that ethos is the fundamental principle that Lean is applied as a systematic method for the elimination of waste. 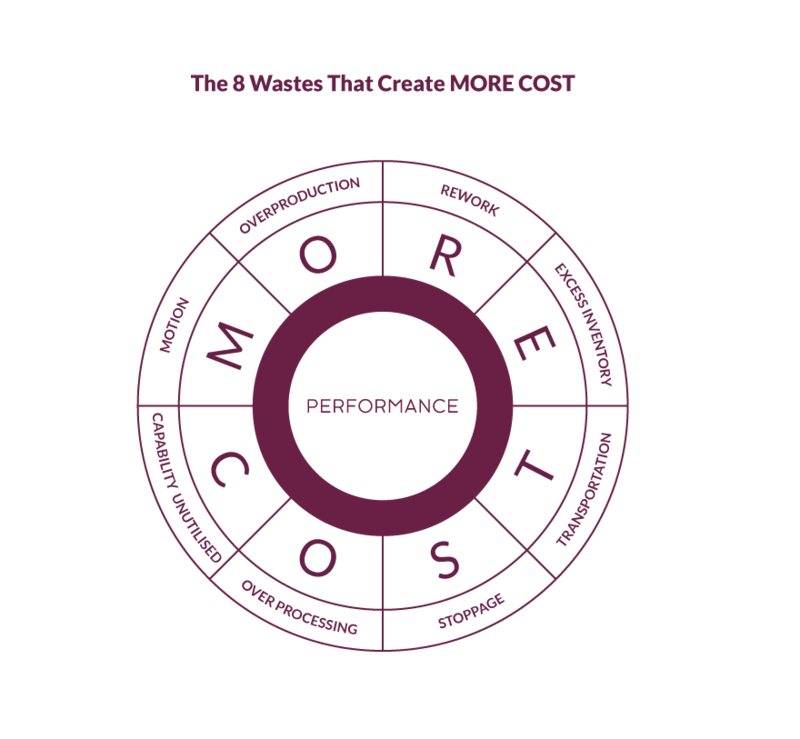 The 8 wastes that exist in all organisations that can be identified and reduced to improve performance are summarised in our simple model: ‘The 8 Wastes That Create MORE COST’. Our core values are based on the culture and philosophy that we have collectively experienced working in world class Lean industries and organisations. We keep what we do simple because Lean is simple. The ORBIZ Lean Temple is based on the Toyota Motor Company’s own Toyota Production System (TPS) House, where many of us received our education in the culture and philosophy of Lean. We don’t see a need to reinvent a very successful wheel. The ORBIZ Lean Temple represents the sequence in which we focus our attention when we work with each of our clients. At the base of the temple are the CORE VALUES of our client which are key for us to understand when initiating any new engagement. Next are the foundation stones of ASSET MANAGEMENT, VISUALISATION, WORKPLACE ORGANISATION and STANDARDISATION. These are the systems that must first be established to create stability at the base of the organisation. Organisational stability enables the effective introduction of JUST IN TIME principles and creates the foundation for a robust QUALITY management system. These systems functioning in unison creates the platform required for CONTINUOUS IMPROVEMENT whilst enabling a culture of Zero Harm and Problem Solving to flourish.